The BMW X5 2018 has just been presented in society. 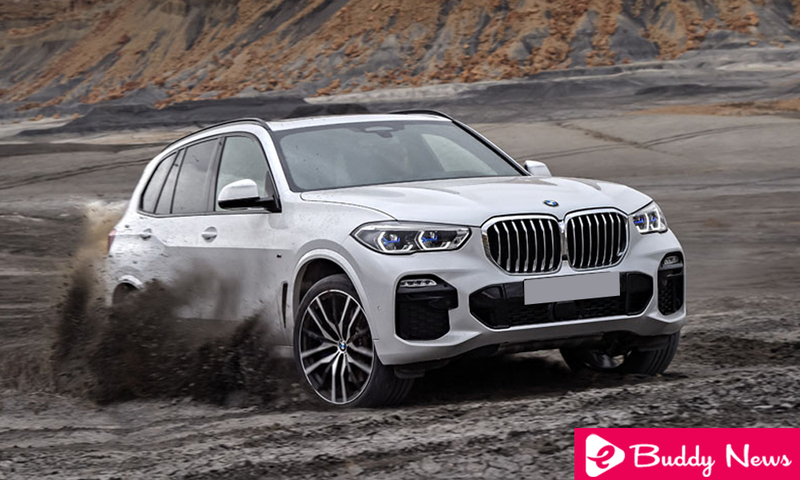 This fourth generation of the BMW SUV is somewhat longer, wider and higher, is more car and adopts the new design language released in the BMW X. It will go on sale in November of this year, and here you have all the information. This fourth generation of the BMW X5 arrives to maintain the good reputation that the model was built over these more than 19 years in the market and the more than 2.2 million units sold to date, and it does so by being larger never. It measures 4.92 meters in length, 36 millimeters more than its predecessor to which it has already reached in dimensions the current X3. It is also wider, specifically 66 millimeters more with those slightly exceeding two meters wide, and finally is somewhat higher (19 millimeters). This general increase in dimensions also allows the wheelbase to have grown 42 millimeters to give the interior more spacious. What he retains is his personality that, despite the advances in design, allows him to identify it at first glance as an X5 without risk to be confused with any other model of the BMW X family. Thus, the headlights are now a little more stylized, and on the front, they gain prominence the two kidneys of gigantic dimensions that now are formed by a single piece that joins in the center of the car and also have active blades that open or close to improve efficiency. The air intakes distributed by the front are the other characteristic element since they are bigger than ever. In the side view, the BMW X5 2018 shows that robust and forceful appearance, in which the line of the waist rises slightly in the back. It is perhaps in this view that there is a less remarkable evolution concerning its predecessor. The appearance of the rear itself is different from what we had seen so far in the BMW X5. The three-dimensional optics with a horizontal and robust design with LED technology and combine very well with the classic gate divided into two parts, one that rises and one that low that for the first time can be opened automatically (both). At a technological level, the jump is logically large, and more so in a segment where cars have already been compared to their brothers, the super-saloons of the German brands. That is why LED lights are standard, while the option already offers adaptive LED laser lights. As standard, it has 18-inch wheels, but the dimensions are increased in option until, for the first time in a BMW, it can be equipped with 22-inch wheels with a design of five double spokes, necessary to stand out in a set of similar dimensions. The interior of the BMW X5 2018 is a sight to behold, and an amusement park for technology lovers. Before immersing ourselves in everything it will offer, it should be noted that it will continue counting from the end of this year with the option of a configuration of 7 seats, with two retractable seats in the trunk space. To access that optional third row of seats, the BMW X5 will have for the first time the second row with electric drive, so that with just a push of a button you can open the way to access back. The trunk goes from 645 liters to a maximum of 1,860 liters with the seats reclined forward. And already involved in technology, the main novelty is the BMW Live Cockpit Professional series. It is the completely digital and customizable control panel that we had expected so much in a BMW, and that was known by the name of SO 7.0 of which we tell you and many details. This will perfectly interpenetrate with the 12.3-inch central screen, which can be operated through the iDrive control, whose operation has been refined to make it easier and more intuitive. In addition, it will, of course, have a touch function and some commands can be activated by gestures or by voice control. The Head-Up Display has also grown in line with the growth of the car, now counting with a projection surface of 7 × 3.5 inches that allows seeing graphics in 3D of course in color. As a novelty, you can open and start the car from a smartphone. Smart key with screen, seats with massage function, heated or ventilated as well as coasters, central armrest with heating, four-zone climate control, Bowers & Wilkins Diamond sound system or the rear entertainment system with 10.2-inch screens they will also be part of the optional, infinite equipment to adapt the BMW X5 to the tastes of each customer. To improve the dynamic appearance of the car, the new BMW X5 will feature a series of new features such as electronically controlled shock absorbers as part of the standard equipment. As it could not be less, the Integral Active Direction allows slightly turning the wheels of the rear axle to make it agiler at low speed or to give it more poise on high. It is undoubtedly the fashion solution and linked to the system of torque distribution between the front and rear axle, as well as the system that slightly brakes the wheels inside the curves when we are doing sports driving; they seem a perfect set to give that touch sports you expect in a BMW. It will also have Adaptive M Professional suspension with active anti-roll stabilization, and for those who want to practice the off-road, the air suspension allows to vary the height of the body by up to 80 millimeters from the lowest to the highest position. And in this sense, the BMW X5 promises to be more rural than ever. In option, an off-road management system will be offered through which the car can be configured for four different modes: sand, rocks, gravel or snow. In each of these modes, the pneumatic suspension of the two axles will adapt the height of the body to ensure they do not touch the underside. In this sense, it will also have specific protections on the front and rear, there will be graphics on the central screen that will give us information on angles of inclination and attack, or modify the parameters of xDrive, DSC, gearbox, and management of the accelerator according to the type of terrain in which we are going to drive. Logically, in such a technological and connected car, the driving assistants are everywhere. The active cruise control has Stop & function, assistant direction and lane control, lane change warning and lane departure warning and protection against side collision, as we already knew in a model as the Series 5 or Series 7. What is new is the emergency stop assistant that automatically brakes the vehicle and, if necessary, directs it to a margin of the road to manage the incident. It also has a system called evasion aid, whose operation in detail we do not know at the moment, but it will be interesting to know. The BMW X5 2018 can park automatically both online and in the battery, and as a novelty, you can automatically reverse sections of up to 80 meters as long as we previously made the same journey forward. The new BMW X5 2018 will be manufactured like almost all BMW X in the North American plant of Spartanburg and will hit the market in November. It will do with the following engines. BMW X5 xDrive40i – Will feature an in-line six-cylinder petrol engine, an eight-speed automatic Steptronic gearbox. It develops 340 HP at 5,500 RPM and the maximum torque will be 450 Nm between 1,500 and 5,200 RPM, which will accelerate from 0 – 100 km / h: 5.5 seconds and the maximum speed will be 243 km / h while announcing a consumption medium of 8.5 l / 100 km. BMW X5 2018 xDrive30d – The version with a six-cylinder in-line diesel engine also mounts the eight-speed automatic transmission Steptronic. With 265 hp at 4,000 RPM and a maximum torque of 620 Nm between 2,000 and 2,500 RPM, it promises 0 – 100 km / h in 6.5 seconds and 230 km / h maximum speed, while the average consumption will be around the 6 l / 100 km. BMW X5 M50d – For now the most powerful version of the BMW X5 2018 will assemble a six-cylinder in-line diesel engine with four turbochargers and the same eight-speed automatic transmission Steptronic. In this case, we speak of 400 CV at 4,400 RPM with a huge torque of 760 Nm between 2,000 and 3,000 RPM. A very serious machine capable of accelerating from 0 to 100 km / h in 5.2 seconds and reaching 250 km / h of top speed. This is for the moment all the information we have of the new BMW X5 2018, which represents the arrival of the fourth generation of the BMW X5 and at the same time the most advanced dynamics and technology to remain a benchmark in the SUV segment big luxury cars and the BMW X7 will not join in a long time.